Today we will be continuing our deep dive into the three major branches of the American Government. In our last blog we talked about the Executive Branch, which is headed by the President of the United States of America. Today, we will be discussing the Legislative Branch. The branch that may not receive as much attention as the Executive Branch, but it is equally important and powerful. The Legislative Brach, also known as the Congress, is split into two major groups, the House of Representatives and The Senate. 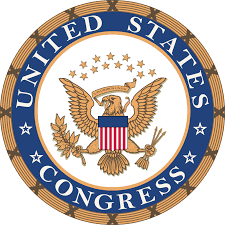 The Legislative Branch was established by Article I of the Constitution. The Legislative Branch is organized to split up power evenly amongst the states. The Senate has 50 members, two from each state. This means that smaller states have the same representation as larger states in the Senate. On the other hand, the House of Representatives has 435 elected members. Each state is given a specific number of representatives based on the state’s population. The larger the population, the more representatives they are given. The Legislative Branch is the only branch of government that has the power to write new laws or change existing laws. Laws passed by the Congress must be constitutional. Both the Senate and the House of Representatives must approve a law before it moves on to the President for final approval. Additionally, it is the duty of the Congress to establish an annual budget for the Federal Government. To fund this budget, the Congress levies taxes and tariffs. The Congress also has the power to declare war.